Mary is an attorney and mediator experienced in mediating and litigating Massachusetts divorce and post-divorce issues. She is a former Probate and Family Law Clerk Letter serves as a Guardian Ad Litem and has been appointed as a Parenting Coordinator in the Probate and Family Courts. Her practice also includes working closely with families of special needs students to help parents get the appropriate educational services for their children through the public schools. Mary is active in numerous professional and community groups. She sits on the Board of Directors for the Special Needs Advocacy Network (SPAN) and is also a member of the Council of Parent Attorneys & Advocates, the Massachusetts Council on Family Mediation, and the Massachusetts Collaborative Law Council. Mary is a special education attorney and family mediator with a strong background in criminal defense and appeals. 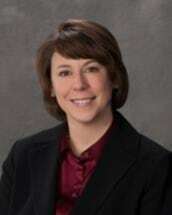 She has a proven ability to provide effective representation to families of children with special needs, mediate divorce and post-divorce family issues including child custody and financial issues, and research and draft pleadings and briefs involving complex evidentiary and procedural issues for submission to both state and federal courts. Licensed to practice in Massachusetts since 1999.